The Hyde Park Office is currently located at the Cornerstone at Norwood office complex at 4000 Smith Road, Suite 175. We are right inside of the front door of the 4000 building on the first floor. Go up the stairs (or ramp) and we will be the first door on the left before you get to the elevators. There is ample parking in the 1400 space parking garage and there are “one hour parking” spots just outside of our door. The Cornerstone office complex is located at the Smith/Edwards Road Exit 6 off of Interstate 71 near the Rookwood shopping area. The Hyde Park Office was expanded early in 2017 and now features 18 exam rooms, an expanded vitals area and nurses station, “well and sick” waiting rooms. This expansion has and will continue to help with efficiency and flow in this rapidly growing office. Dr. Jenny Parks is the primary pediatrician at this location. Dr. Jeff A. Drasnin (typically at the HP location on Mondays and Wednesdays), and Dr. Jeff P. Heaton (typically at the HP location on Tuesdays, Thursdays & Fridays) split time at this location. Dr. Shoba Krishnan typically sees patients at Hyde Park on Fridays. Dr. Mike Brown and our nurse practitioners also see patients at this location on various days. Unfortunately, we do not offer evening or weekend hours at this location at this time. As the practice grows, we hope to add this feature. 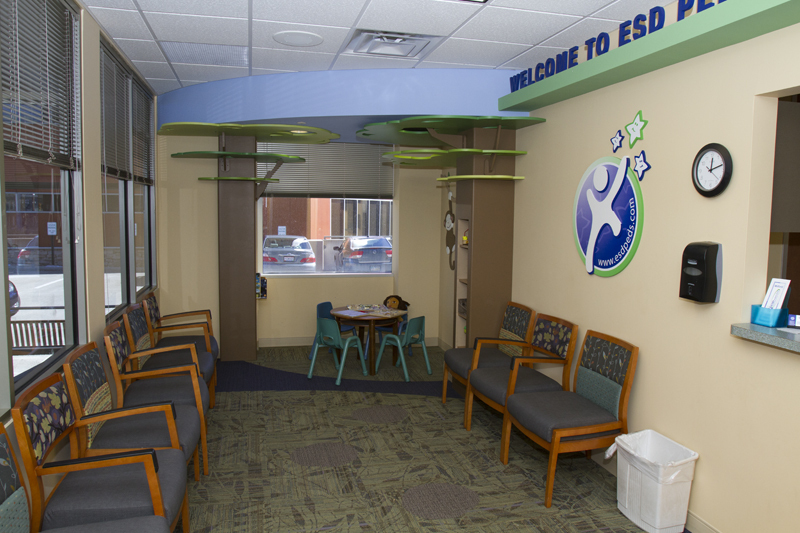 All ESD patients can be seen at the Milford location on Saturday mornings by appointment.